As technology progresses, more and more people prefer listening to music at home without the hassle of tangling cables or wires. 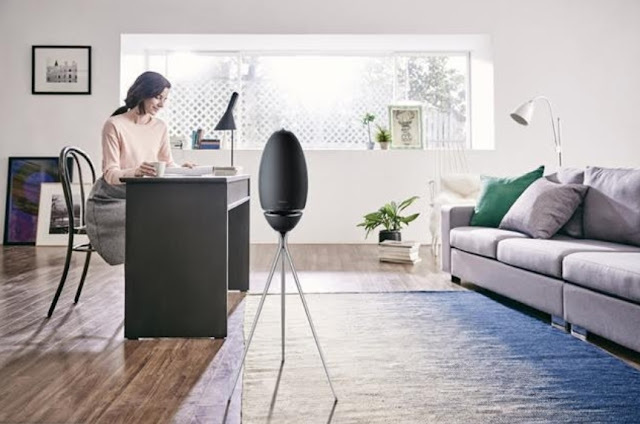 Wireless speakers have become the trend, however, not all are made equal, as some offers truly amazing surround sound experience, just like the Samsung Wireless Audio 360. The Samsung Wireless Audio 360 comes in a unique shape and a sleek matte black design for style, its aesthetic value makes it a welcome addition at home. However, it goes beyond just the decorations as it produces even sound in all directions via its patented Ring Radiator technology that beams sound through four speakers: the elegant R7, the compact R6, and the ambient R3 and R1. These speakers connect to other Samsung devices such as televisions, mobile phones, and tables to enhance your listening or viewing experience. You can also play music through Samsung’s Multiroom App 2.5. To know more about the Samsung Wireless Audio 360 speakers, visit the Samsung Facebook page or log on to samsung.com/ph/.